Autumn is my favorite time of year but it seems to fly by so quickly. I am always trying to stretch the season out as long as possible and one of the ways I do so is with home decor projects. 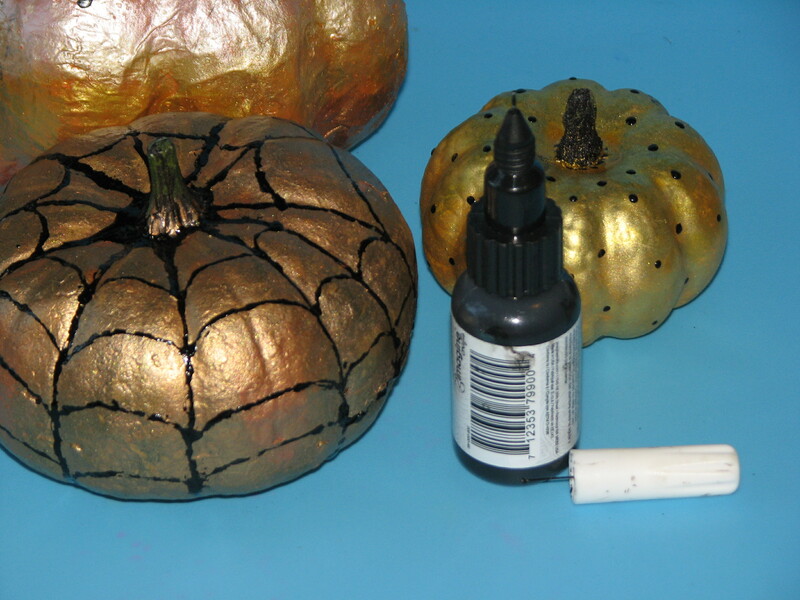 These fun faux pumpkins look amazing with StazOn Metallic inks paired with a bit of Tuxedo Black Pico Embellisher. The best part is they will look beautiful not only this year but for years to come! 1. 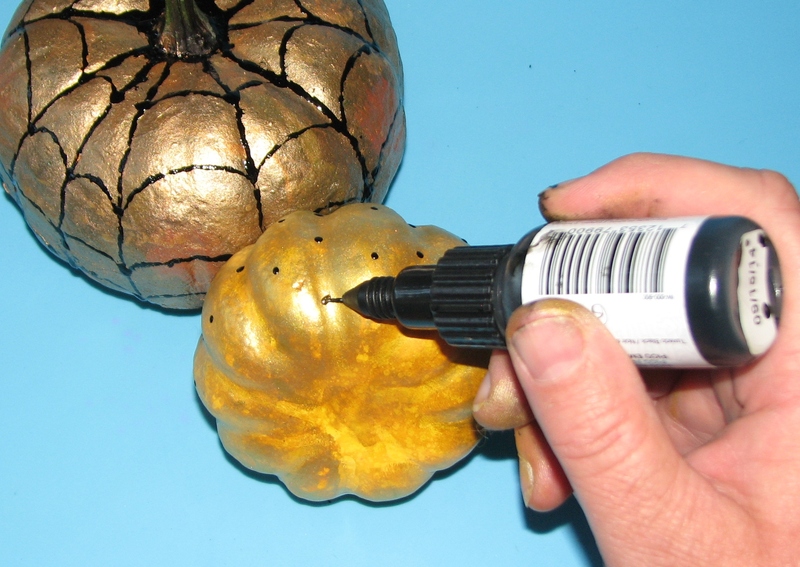 Gently clean the faux pumpkins and let them dry completely. 2. 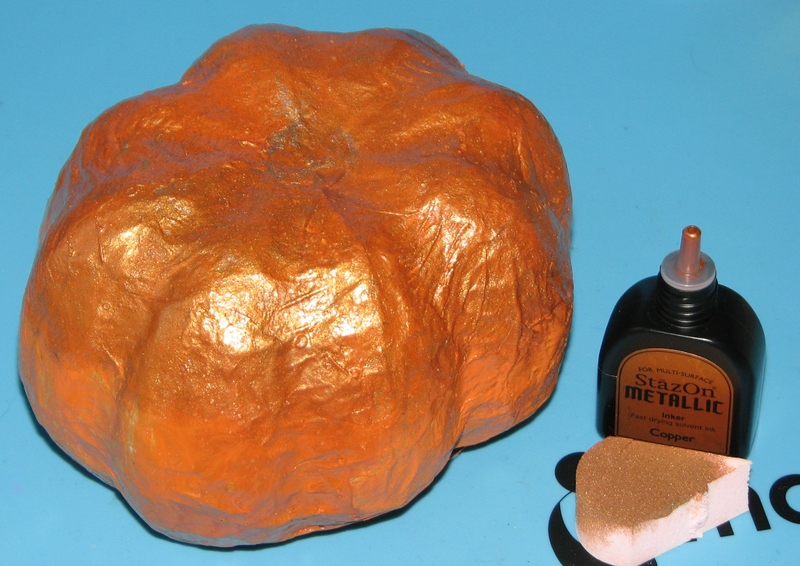 To make the candy corn colored metallic pumpkin, apply Copper Metallic StazOn ink to an InkBlusher. 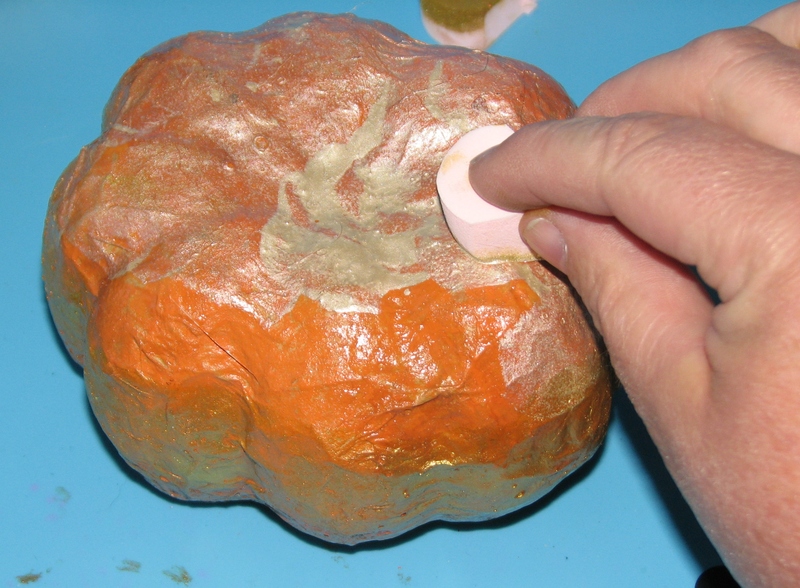 Dab the ink over the entire bottom third of the pumpkin. Let dry. 3. Dab Gold Metallic StazOn ink to a second InkBlusher. 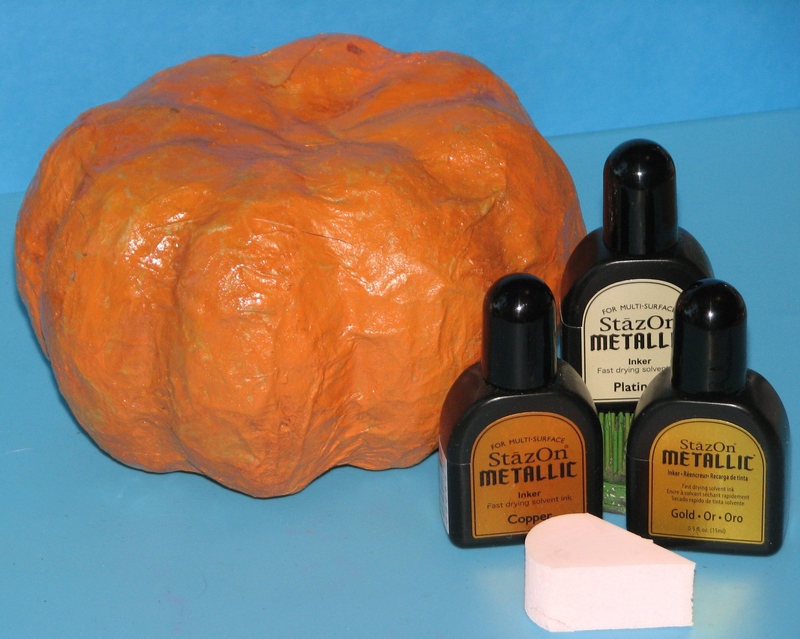 Dab this ink over the center third of the pumpkin and let dry. 4. 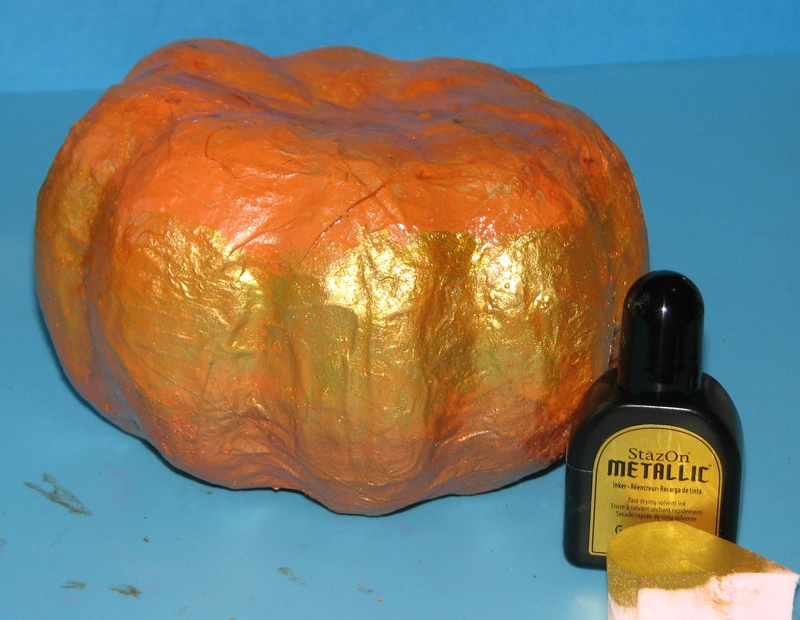 Finally cover the upper portion of the pumpkin with Platinum Metallic StazOn ink. 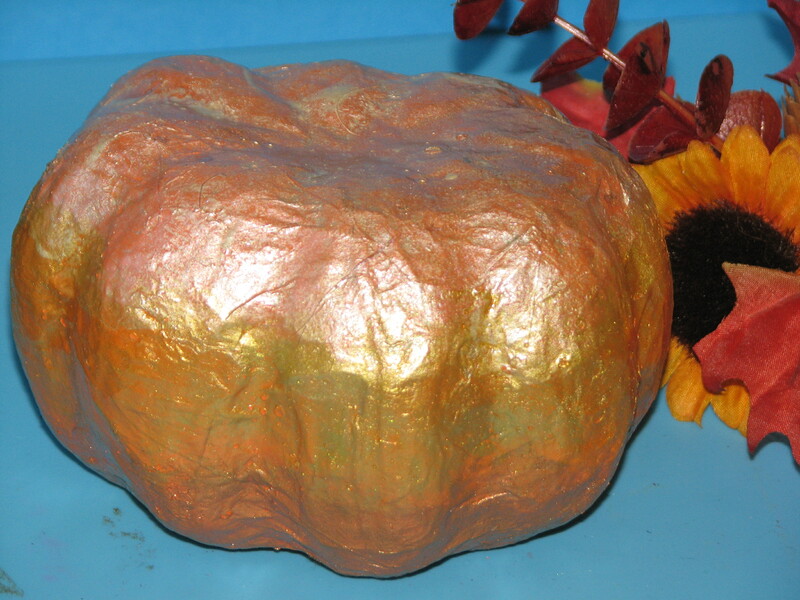 You can see the lovely Metallic candy corn effect immediately. Let the inked pumpkin dry completely. 5. Ink additional pumpkins as desired. 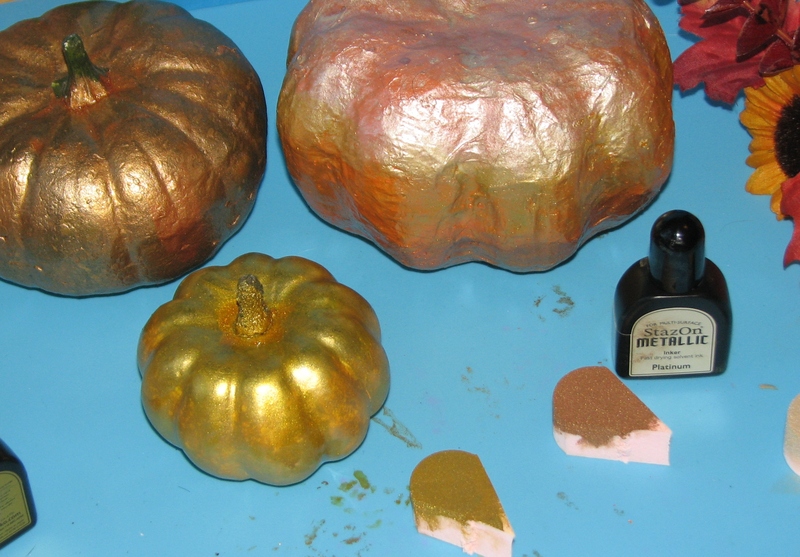 I chose to cover one of the pumpkins entirely with Copper and a second smaller pumpkin with Gold Metallic StazOn ink to round out the grouping. 6. Of course you could use the pumpkins as is but I thought it would be nice to spice them up a bit with Tuxedo Black irRESISTible Pico Embellisher designs.